Click on any image to view it larger in its original form. Proposed location for a first wildlife underpass without fencing. 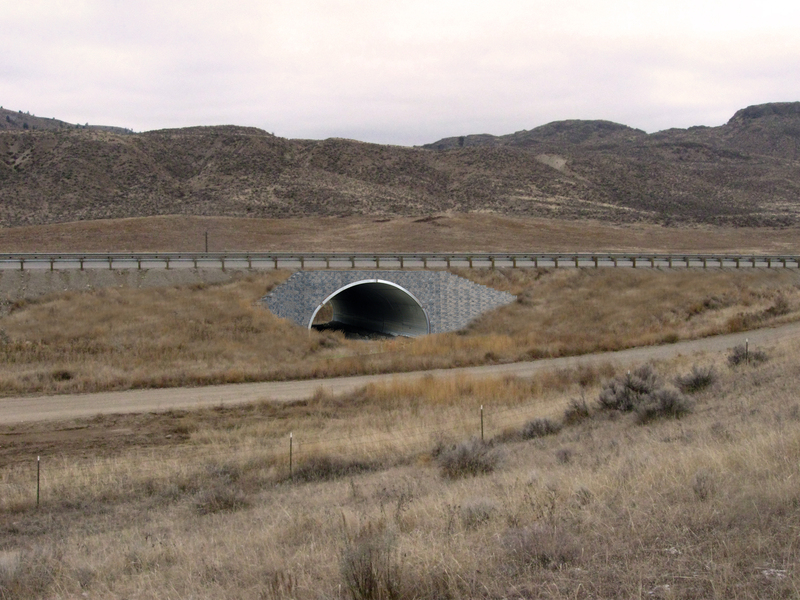 Graphic design by Jones and Jones Architecture of a potential underpass in the project area. 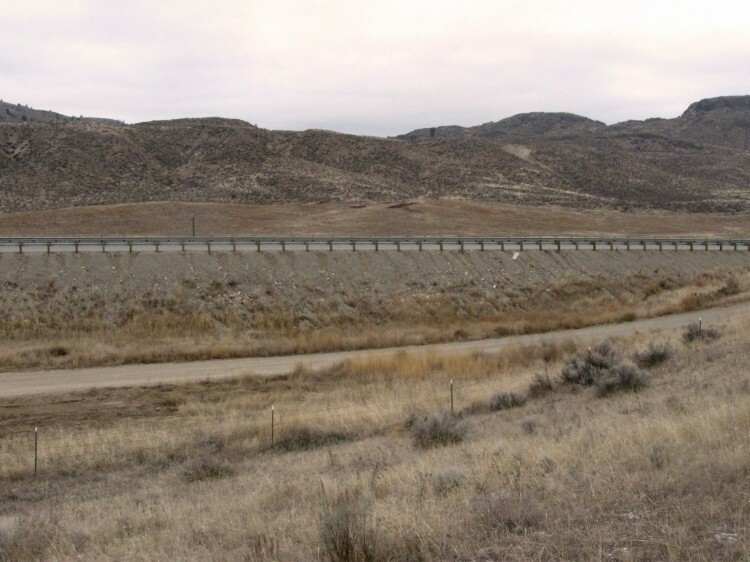 Download a PDF booklet prepared by Jones and Jones of photos and graphic designs to visually display the underpass proposal in this area. 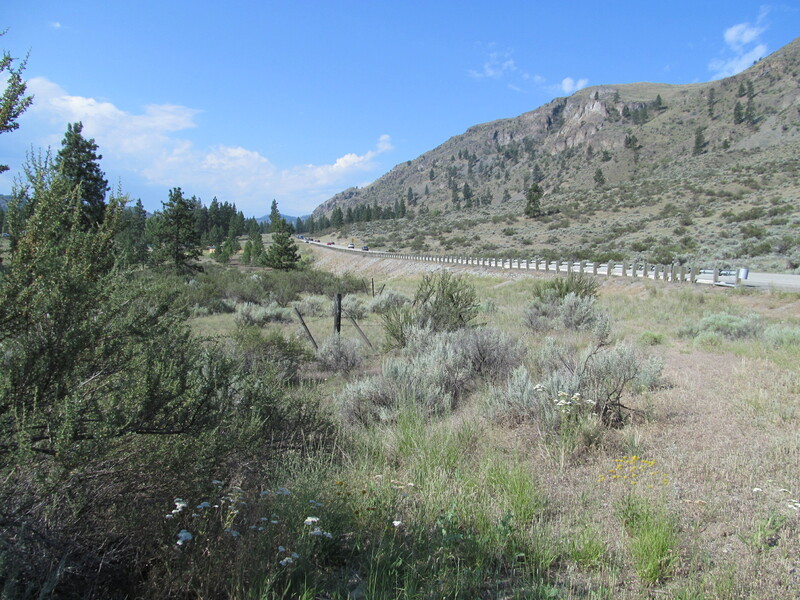 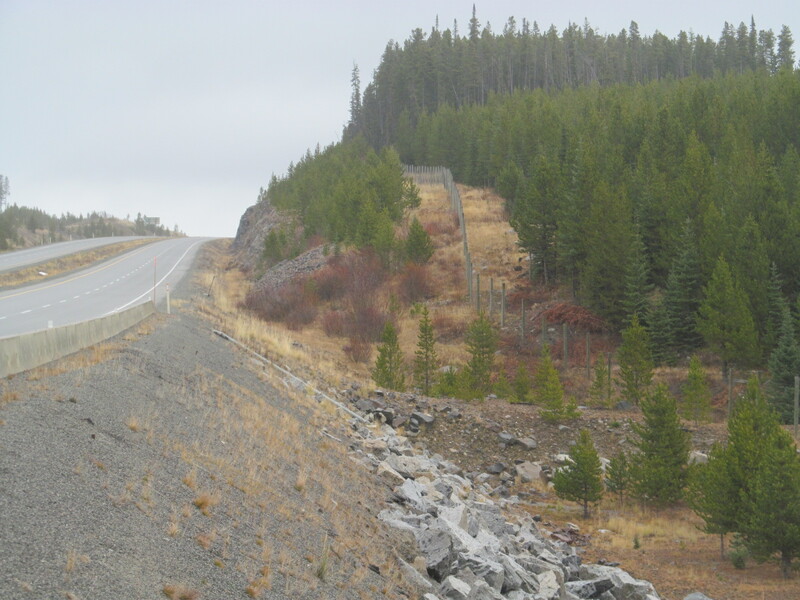 Proposed additional location for a wildlife underpass in the project area. 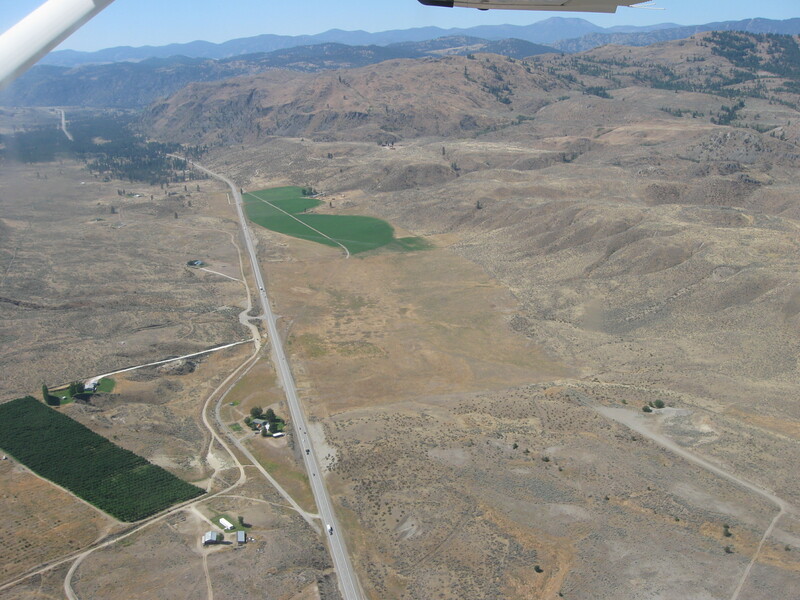 Photo taken from air looking south at critical crossing locations along Highway 97 in the project area. 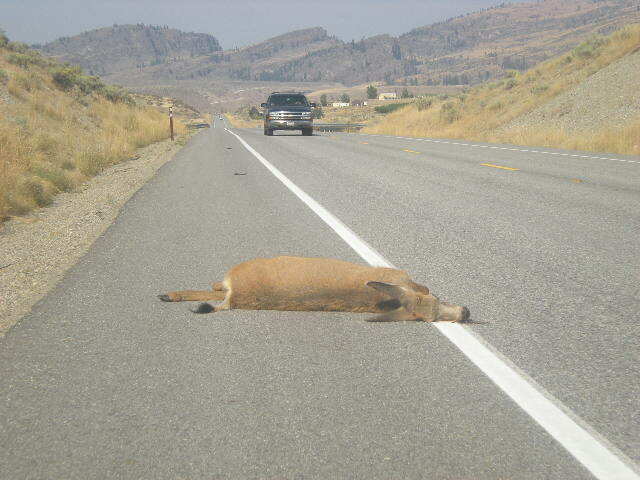 Mule deer roadkill on Highway 97 within the project area.